OTTAWA, Ontario and Boston, MA – March 28, 2017 –Embotics, the cloud automation company, and Zerto, an award-winning provider of cloud IT resilience solutions, today announced a joint solution that will enable customers to quickly build, automate and protect enterprise-class hybrid cloud environments. Embotics customers understand that proactively improving their service offerings can help preserve market share, compliance, customer relationships, and brand reputation. This anthology of customer stories shows how companies have leveraged Embotics solutions to combat today’s ever-evolving IT infrastructure challenges and the benefits that these solutions have helped them achieve. 451 Research just released a paper on Hybrid multi-cloud architecture, and the vendors aiming to enable and manage it. Written by Carl Lehmann, Research Manager for Enterprise Architecture, Integration & Business Process Management, the paper looks into the new approaches needed to manage hybrid multi-cloud cloud infrastructures as workloads, data and processes shift across multiple on-premises, hosted, private and public cloud services. As server virtualization continues to mature, many organizations are moving beyond simple virtualization into public, private, or hybrid cloud environments. Such environments allow authorized users to create their own virtual machines based on templates that are listed in a service cloud. Over the last several years, many organizations have moved beyond the basic virtual datacenter, and created private or hybrid IaaS clouds. These clouds allow authorized users to perform self-service provisioning of virtual machines. Embotics featured by Gartner in 2016 market guide for cloud management platforms. Infrastructure and operations leaders face a rapidly changing cloud management platform market as they attempt to manage private, public and hybrid cloud services. This research defines the cloud management platform market and provides guidance for acquisition and usage. 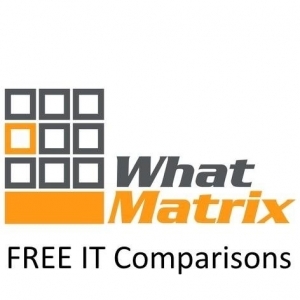 WhatMatrix.com has welcomed Embotics to their Cloud Management Platform evaluation category. vCommander 5.6.3 was added to their to their technical comparison and after evaluating its capabilities it went straight into the “top 3″ of the category, reflecting the increasing capabilities of Embotics. For more details of the evaluation, and why WhatMatrix said "One of the (differentiating) key value propositions of vCommander is the ease-of-use and simplicity of the initial set-up compared to some of its competitors." see the WhatMatrix blog. The full matrix and comparisons are available here.